I remember when my obsession with helping people and animals really began. I was eight at the time, and I found a local cat outside who looked hurt. His ear was bleeding, and he was scared. I suspected that his owners – my neighbor – abused him, so I coaxed him into my arms and snuck him into my house. When my mom found me with the black-and-white ragamuffin a couple hours later, it warmed her heart that I cared so much – but she told me that we had to return the cat to its home. Fortunately, several weeks later, the wife showed up on our doorstep holding the poor cat. “Can you guys take him in, please? My husband says he’s going to drive down the highway and drop him off on the side of the road if I can’t get anyone to take him in.” The cat looked worse than before, and we instantly said yes. We nursed our new cat, Drew, back to health and kept him safe. He was always afraid of certain things, like yelling and people raising their fists, but I was just glad that we could help him. Because of this, my love for helping animals and people alike was born. These days, I’m known by those around me for my writing, my fashion sense, and the way that everything I do is really colorful and sparkly. Only the people who have actually spoken to me know how much I still care about helping non-profits. But the absolute best thing is when I can have the best of both – when my fashion and crafts can also be supporting causes that I care about. There are so many ways to help out, but sometimes non-profits and social justice organizations hit a rough patch when people just aren’t donating their time or money. This is where donation fundraising often comes into play – you buy these products, and a certain percentage goes toward a specific organization. It’s popular at restaurants such as Appleebee’s now, where a certain percentage of the bill for everyone who eats there on a certain night will go towards a non-profit. But what if you could wear something that was also responsible for helping create positive change? The answer is that you can and you just might not know it. Her message rang loud and clear for me. I ordered a scarf from her about a week before my wonderful 12-year-old fat cat, Winnie, passed away. On the day he passed, I received my scarf. It was like a sign – it reminded me that although I’m sad, I can also do something now to help other animals. I can adopt a cat from a shelter, just like I’ve always wanted to do. 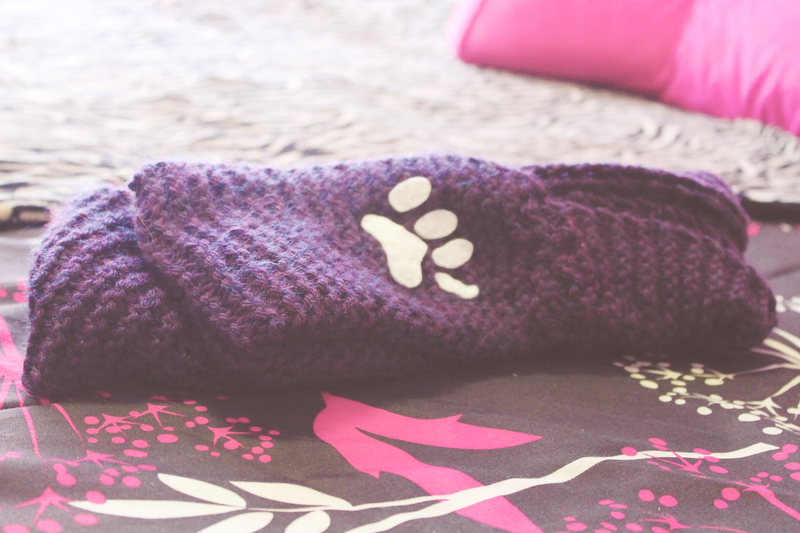 If you’re interested in helping Chelsea with her Scarves for Paws campaign, just check out the link on her blog here. There are so many ways to help others with fashion and crafts, but I’ll just throw a few of my favorites out there! 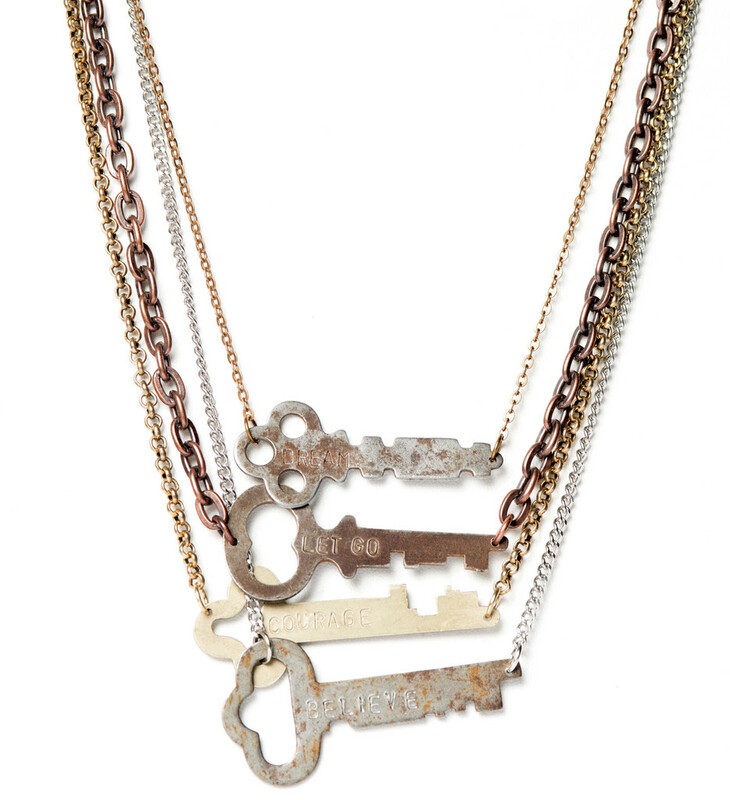 The Giving Keys is an organization that sells beautiful keys – and helps the homeless. The organization employs people looking to transition out of homelessness so they can achieve that goal. Their employees hand-stamp the keys with inspirational words. If you purchase a key, you’re also supposed to pass it along to someone who needs it when you feel it’s done its work for you (and so on and so on). It’s a wonderful “Pay it Forward” strategy. My personal favorite product is the Never Ending Necklace. It’s been on my wish list for a few months now. 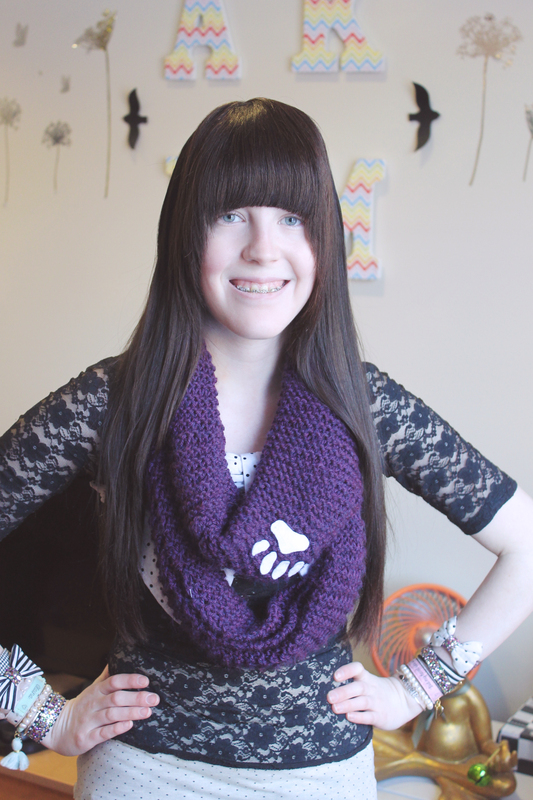 Love’s Affect is an Etsy shop that donates 10% of their sales to various organizations. Currently their chosen organization is the American Society for the Prevention of Cruelty to Animals (ASPCA). 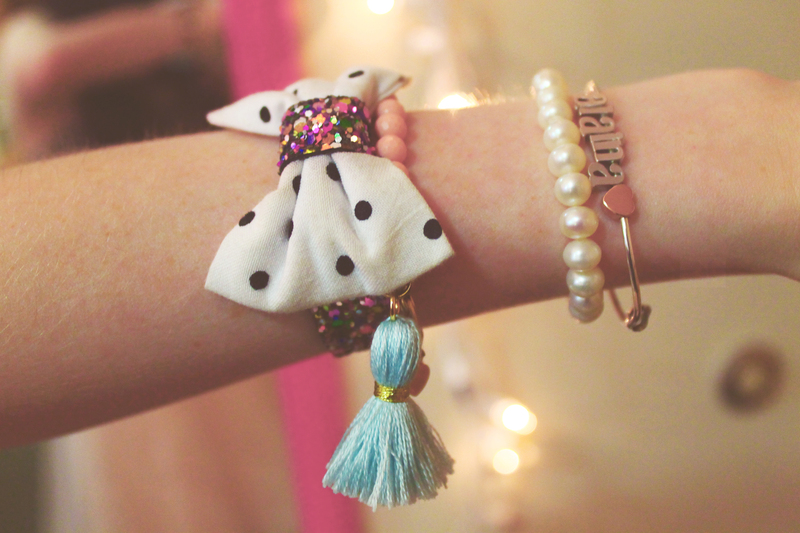 I own several pearl tassel bracelets from Love’s Affect and I adore them – and plan to buy a custom, which they also do, soon! Their customer service is also fantastic, and when my tassel fell off, they sent me another one immediately. I wear their bracelets daily, and I’m so happy that they give back. And if you’re looking to help, but you just don’t wear jewelry and aren’t into fashion, you can also help by purchasing a new candle. I’m currently working with Whip City Candle on their Candles for a Cause program – 50% of proceeds from these product sales go to every non-profit that joins the program. The owners of Whip City Candle are dedicated to trying to help non-profits (all of their employees come from area service organizations), and would like to add 100 new organizations to their program in 2015. If you want to help, you can buy a candle from the available stock here, or tell a local non-profit that you know about a program that can help them. If you’d like to pass along the name of an interested organization, you can email me at alainaleary@gmail.com. You can help others and still look good doing it!